There are several reasons why restaurant food tastes so good. One is that the cooks know how to make reductions, which involves cooking down large amounts of liquid until it becomes a pool of thick, glossy sauce. While this technique isn't hard to learn, it can be time-consuming. 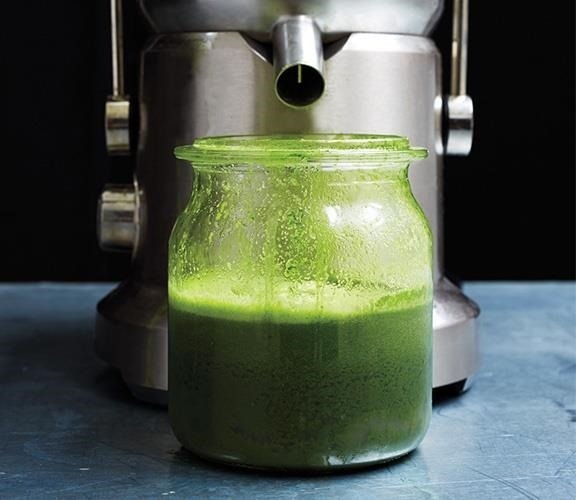 Now, courtesy of chef Ignacio Mattos of New York-based restaurant Estela (via Bon Appétit), comes another way: use your juicer to create fresh, one-of-a-kind sauces that are as complex as anything from French or Chinese cuisine, but a heck of a lot easier to create. 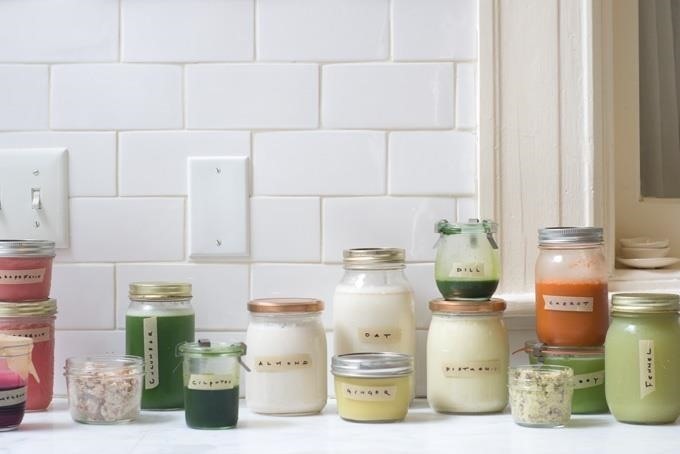 Mattos' technique involves zero cooking and creates chef-worthy sauces since, as he notes, fresh juices inherently contain so much flavor and complexity. Instead, you juice herbs and vegetables in two separate batches so you can play with proportions before you sauce a dish. 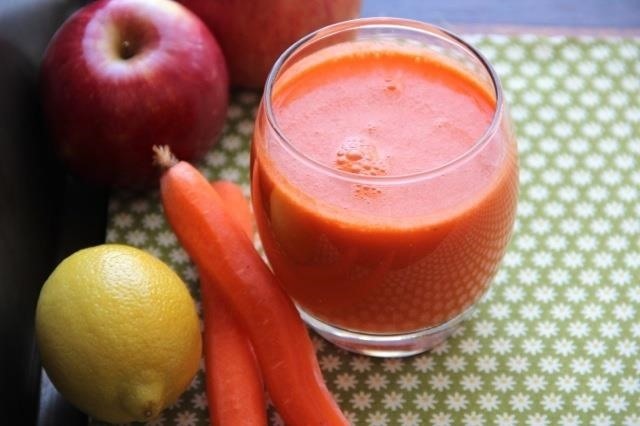 After you mix the two to suits your tastes, you add something acidic like citrus juice, vinegar, or even pickle juice. You can add salt if desired (a sprinkle of fleur de sel might be a nice touch). After you've spooned the sauce across your dish, you can add a drizzle of high-quality olive oil for extra flavor and a little visual flair. Mattos recommends juicing a vegetable that has a touch of acid, like sorrel, and then juicing herbs that have an onion-y flavor, like leeks or chives, although he notes that parsley is always a good choice. You can get his master recipe for green sauce and then play with proportions and other flavors as you like. Remember that fresh juices oxidize quickly, so while you can use your juicer to make sauce in advance, they'll start to turn a little brown-ish after a while. In my experience, after four or five hours they lose their vibrant color ever so slightly and start to separate, even in a tightly sealed container. This trick has actually been around for a while: a 1994 Baltimore Sun article discusses chefs Jerry Edwards' and David Fustings' technique of running fresh vegetables through a juicer, adding an arrowroot flour-based thickener, herbs, and salt and then lightly cooking the sauce. Fustings and Edwards like to use a vegetable that has a lot of sweetness and color as a base, like bell peppers or carrots, add an arrowroot slurry (one teaspoon of arrowroot powder mixed with two tablespoons of water), and cook it over medium heat until the mixture thickens. Afterward, they remove it from heat and add a splash of alcohol or citrus juice and herbs/scallions for taste. They also recommend whisking in a little butter at the end for richness. You can get the complete instructions here. Either method is a great and relatively easy way to create a fancy sauce that will liven up a simple meal of fish, chicken, or beef. The only complex part is cleaning out the juicer, and you can assign that task to anyone who didn't help with the cooking, right? News: American Idol Audition in disguise!